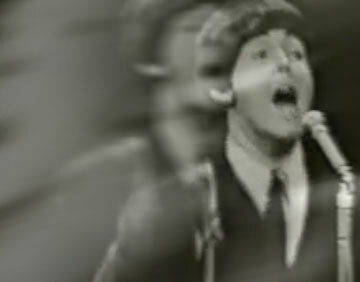 "The Beatles will make three appearances on the Ed Sullivan show Feb. 9, 16, and 23. Portland parents have been assuring their children that The Beatles are not the sons of Captain Kangaroo, even though their hair cuts are the same. 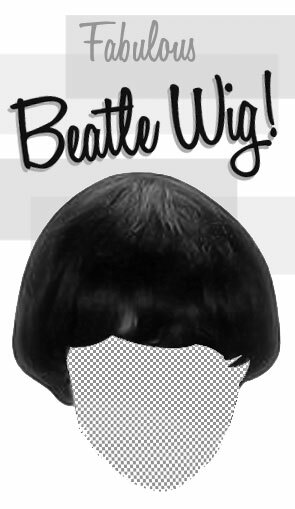 One barber in Raleigh Hills, tired of giving Beatle haircuts to kids, advised them to go next door to a beauty parlor. One of our colleagues says that the break-off point in Beatle appreciation is 12 years of age. Eight graders look down their sophisticated noses at 7th graders who are still wild about the British vocal and instrumental quartet. KISN is the local Beatle station." Somewhere around the time when lawns began sprouting dandelions and kids ran about in short sleeves, my love for The Beatles was as burgeoning as the spring flowers. Contrary to what had been reported, The Beatle craze-as it was referred to by many-did not simply fade away, or belong to "seventh graders" and children under that age group. Beatle records were still spinning, and despite the desires, or wishes of the adult masses, they were not to fade away into obscurity. Conversely, each song, became an anthem, and each album became a stepping stone-or even further-a time capsule into another decade of both pop and American culture. Yes, American, I say; even though the boys were British, their impact on American soil was tremendous. I used to sit in my room with my trusty Ward's Airline record player, and listen to, over and over, what few records were in my possession. We used to borrow records from each other constantly. When one kid on the block got tired of "P.S. 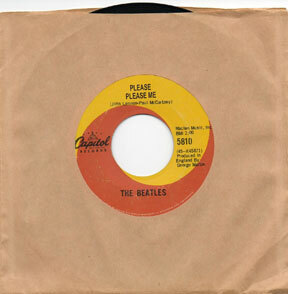 I Love You", then they'd trade for "Love Me Do". These trades were not for keeps, but rather like a lending library. Comics were traded for keeps, but Beatle records still, for the most part, retained original ownership. So many youthful memories are vacuum-sealed for posterity thanks to the splendor and innocent beauty of Beatle 45's. I won't expound on every single album; I've already done that on my Beatles page, but I would like add some memories, feelings and even interesting info to the entire Beatle phenomenon. Time to smash some stereotypes. "They sing close to harmony, stomp their feet and play electric guitars, but so do a lot of crew-cut American boys in slacks and sweaters, and they cause no riots." This statement is entirely inaccurate. It falls under the category of wishful thinking, not fact. Many "crew-cut American boys" had no real stage presence at all; most stage performances by American and British youth were uniform at best, and lacked any spontaneity whatsoever. Their affects were, in a word, boring, and performers moved more like the gears of a machine while performing. My argument to this article is simply this: I saw The Beatles' premiere on television. I would have to say that this reporter never saw them actually perform, but hurriedly tailored an article before the fact. I cannot recall any one of The Beatles stomping their feet. She also mentions the "American boys" with slacks and sweaters. The Beatles wore suits with ties. How much more clean cut can it get? However, I will relenquish that part of my argument, as they did have long hair, and that pretty much curtailed the "neat and clean" aspect of their appearance. Q: So, why did these "crew-cut American boys" not shake up the audiences or cause riots? A: Well, for one, they just didn't know how. Secondly, I don't recall too many American boys screaming during any parts of their performances. Perhaps a growl, or low gutteral voicing was to be the equivalent of a good soulful scream. 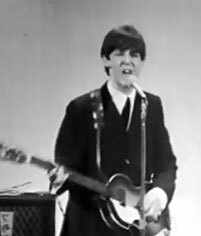 I would wager that The Beatles didn't scream to cause shock, mass fainting, rioting, or to make themselves louder; it was an expression of feeling for the music, emulating much of what they'd heard and admired about some American performers like Little Richard and Elvis. Often, they did it better. A re-listen to Paul McCartney's commanding voice on "Long Tall Sally" from The Beatles' Second Album will surely attest to that. But wait, I'm not through with the "Crew-cut American Boys" analogy just yet. Again, the boys on our homefront didn't cause the same stir that The Beatles did because it wasn't about guitars, long hair, screaming, or singing "close to harmony". 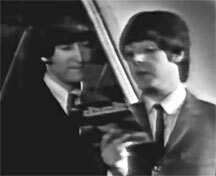 Fact #1: The Beatles sang, not "close to harmony", but in perfect harmony. Reference examples: "This Boy", "Please Please Me", "I Saw Her Standing There", and "If I Fell". 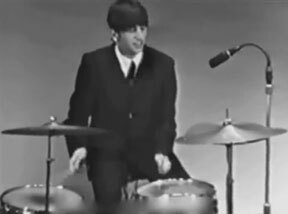 Fact #2: what The Beatles did do that the reporter didn't report, is shake their heads. They indeed shook their heads; they smiled a lot, and worked together as a team even though they had an official "leader". Because they were having one Hell of a good time doing what they did, they came across American television screens like an electrical charge. 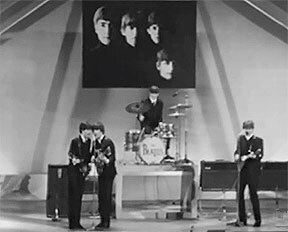 The Beatles didn't suddenly sprout like spring weeds; their music and performances were tested by some of the toughest fight-for-your-life venues in the world. Most pop performers of the period-crew cut kids nothwithstanding-just didn't have the soul, or the guts to express the most powerful feelings of the music like The Beatles did. The Beatles exploded on American soil after having conquered their own homeland. Follow these links to original pages from the Oregonian from Februray of 1964. It's fun to read the perspectives by adults who could not believe the Fab Four would last out the month. My mother, purchased for us kids, an album of Beatle songs performed by imitators. It wasn't a "real" Beatle album, but it worked for the time being. Beatle albums were hard to come by. They sold out quickly, sometimes immediately, from store shelves, and often cost around $2.99-3.99 apiece. 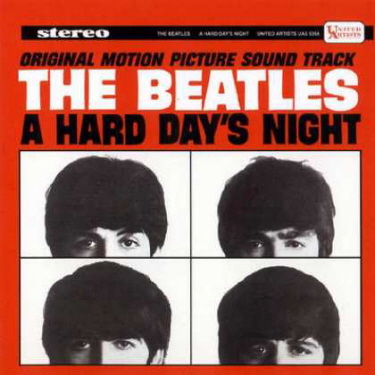 My first honest-to-goodness Beatle album was "A Hard Day's Night". I'll admit I was disappointed by the instrumentals that took up valuable Beatle space on the record, but, being a kid, I had no idea what "an original motion picture soundtrack" album was. I always thought of it as the "faux-Beatle album" with tremendously good songs. I have a great memory of listening to "I Should Have Known Better" while running through Barlow School's magnificently large field with a kite in my hand. Once it was airborne, I felt as free as it, and as wonderful as the music that circled my head. 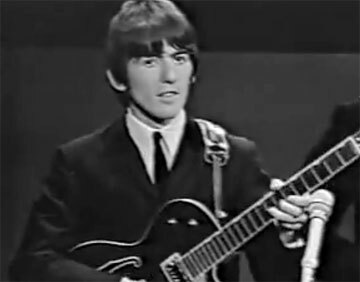 The strong and deliberate harmonies, the harmonica, and the strumming acoustic guitars with the electric guitars created a solid wall of Beatle sound that became so trademark to their early works. 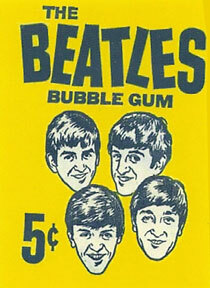 I had several of the Beatle bubble gum card packs. I always loved the flat squares of gum that fit like slabs into the package. I collected and traded so many of the Beatle cards that I eventually lost track of them. Soon, Monster cards were the thing to collect, and I had quite a few of those. 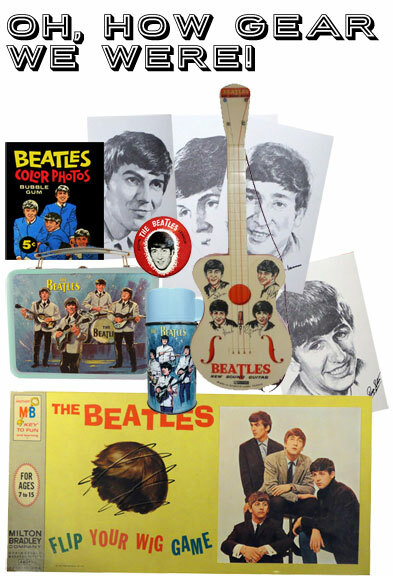 Beatles merchandising went crazy during their peak heyday, which, incidentally, lasted for several years. Some of the kids at school had a Beatles lunchbox. One kid a few blocks over even had a Beatle wig! 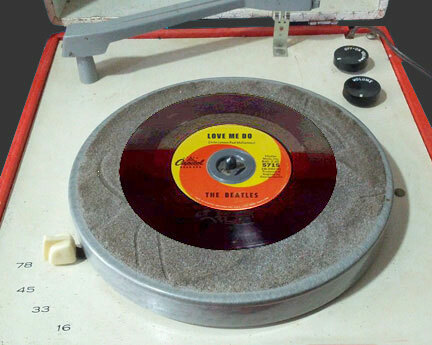 When I wasn't outside playing, I loved spinning these Beatle 45's on the record player, listening over and over again to the thrill, and the excitement, and the raw emotion that was stirred when hearing them. It was like each listen was a first listen, and the more I played them, the more exciting they became. 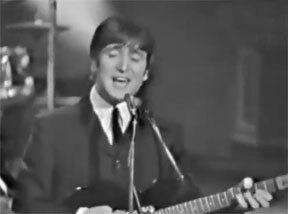 John Lennon's use of harmonica really brought out a certain magnetism to the music; it felt different and unique, and I wasn't accustomed to hearing rock and roll played like this. All in all, it was a great sound. The guitar riff on "You Can't Do That" stayed in my head and would not leave! It was as profound to me as would be their hit "Day Tripper". Among my most vivid Beatle song memories comes in the form of their album "Beatles '65". I can see myself today building monster models while listening to this record. I had a nice set of the Universal Plastic Monster Figures, and I can recall with clarity one afternoon sitting in the gravel of our driveway playing with them while the song "I'll Follow the Sun" spun around my head like a windblown kite. KISN was the station that blasted from car radios and drifted out of open windows in the heat of summer. KISN represented all that was glorious about being young and alive during the sixties.